Looking for a venue for your wedding reception that offers intimacy along with great food and wine? Don Costanzo is the perfect choice for those of you who wish to celebrate your special day with family and friends. Located only a couple of minutes walk from the Wedding Suites at Park Circus, Don Costanzo can help make your special day a memorable one. Whether it be a small selection of your loved ones or a wedding on a larger scale, we have something for everyone. 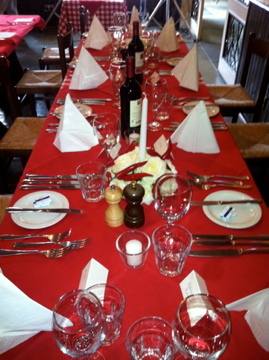 Seating up to 90 people, we can customise our menu to suit you and your budget. With a large selection of fine wines and champagnes, serving only the best of quality ingredients, we can ensure that your guests will remember your special day for all the right reasons. You are welcome to decorate the restaurant and outside area with floral garlands of your choice and as you will see from our past weddings, it makes a stunning impact as you arrive at our entrance. 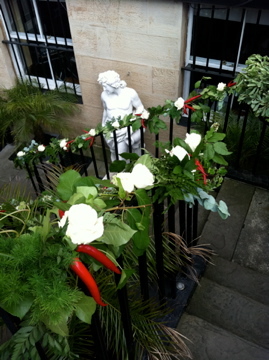 You will also have access to our private gardens offering a backdrop of floral displays and foliage for any photographs you wish to take after your ceremony. These gardens are located directly facing the restaurant and whilst your photographer is capturing your day, your guests can be enjoying a glass of champagne as they wait for the celebrations to begin. We also hold a full live music licence should you decide that you would like to hire someone to entertain you for the day but you are also welcome to provide music cds of your choice should you wish to have only background music. 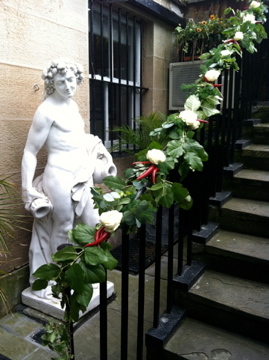 If you would like to hold your wedding celebrations with us, please call 0141 332 3070 to discuss your options. 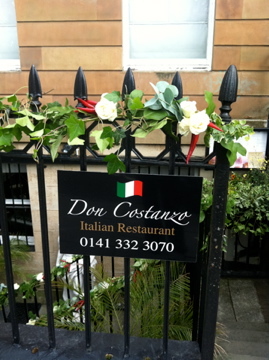 We are sure that Don Costanzo will be a perfect choice for you.